I just cant get enough of my new Ella Moss dress. Sadly it sold out, but no worries I found another one on sale that I thinks just as pretty. Plus this one, just like my other, is lined in a full length cotton tank dress. Can we talk about comfort and style all at once. I suggest sizing down one size in this dress. I picture this with my new skinny jeans and booties. Or, right now with white shorts and sandals. Such a great versatile top. Plus those little gold buttons on the shoulders are pretty much perfection. How amazing are these booties? I have been searching for the perfect pair of neutral booties. Search is over friends. I've heard so many wonderful things about this brand and the price point is insane good. 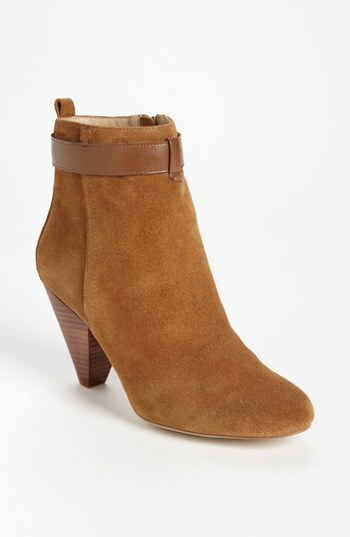 Like $79.95 for these booties! I love a good shift for the summer and into the fall. The green and the navy are just beautiful together. I adore the way the model has it paired with heels, but I think high boots and a blazer would look equally as amazing. Get it Lilly! I mean can we talk about how gorgeous this blouse is? Not only does it have all my favorite colors in it, the sleeve hits in the perfect spot. May just be one of my favorites of hers yet! you have fab taste lady! 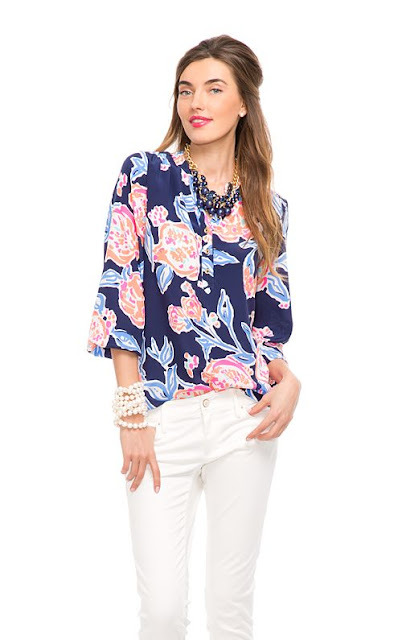 Love that J.Crew top! Just like you said, perfect to wear now and into the Fall! May I ask what size you ordered? Love that shift dress! Love the price even more! Perfect dress for summer/ fall! That J. Crew top is super cute too! Love all of your picks today! If you get those booties you will have to review them! Would love to hear your opinion once you got them. 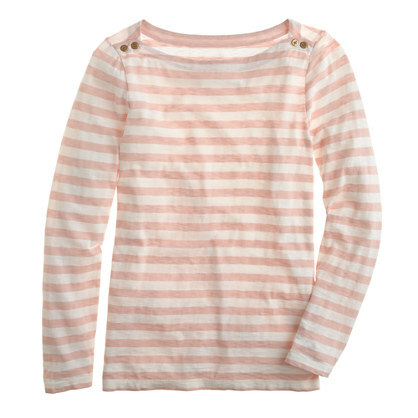 The J.Crew top is only $21 with sale.... awesome. That shift dress and last blouse are now on my wish list! Great picks! You have amazing taste. That J. Crew shirt has to be mine! You my dear, are an enabler!! I am now the proud owner of one of those adorably versatile J. Crew stripe tops! Could be super cute in Fall, Summer or Spring!